Brad joined RPM Ventures as a Senior Analyst in April 2016. His primary responsibilities will be focused around deal sourcing, portfolio company support, and fund operation management. 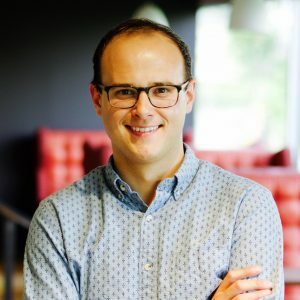 Prior to joining RPM Ventures, Brad spent the early part of his entrepreneurial career as an analyst at the J.P. Morgan Private Bank in Chicago. As an analyst, Brad advised ultra-high-net-worth clients on a series of sophisticated investment, estate planning, and credit strategies. In 2010, Brad was peer-elected to serve as the #1 youth representative of the Boy Scouts of America’s national honor society, the Order of the Arrow. During his term, Brad served on behalf of the organization’s 3.5 million members by organizing leadership seminars, orchestrating national events, and supporting the socratic revision of the strategic plan. He also had the opportunity to deliver the Boy Scout of America’s Annual Report to several key Congressional and publicly elected officials in Washington D.C., including a presentation to President Barack Obama in the Oval Office. Brad graduated from Michigan State University with a Bachelors of Science in Biochemistry and a minor in Economics. He is an enjoys the hiking and camping in the outdoors, likes maps, and spends his spare time supporting his family’s farm in Goodells, Michigan.